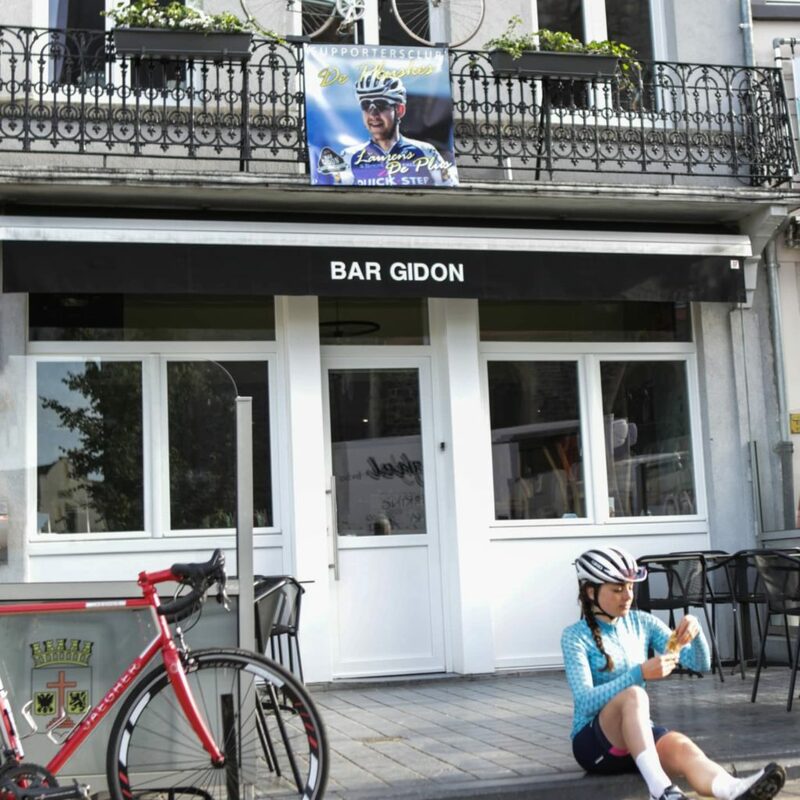 Bar Gidon is located on the market square in Geraardsbergen, next to the Vesten and close to the famous Muur, where cycling history is written. The cycling café bar is owned by ex-professional Frederic Penne who was active in cycling for 20 years, of which 5 years as a prof. His girlfriend, Els Ritserveldt is the granddaughter of Ophasseltse cycling legend Albert Ritserveldt who won in 1939 Liège-Bastogne-Liege. Bar Gidon breathes the real cycling nostalgia. The chairs were all given the name of a famous cyclist who once won the Tour of Flanders. There are several old cycling photos. Rudy Pevenage also donated his yellow and green jersey that he wore during the 1980 Tour de France. The bar is also home to the official fan club of pro-rider Laurens de Plus. Join him for beers or challenge him for a uphill sprint challenge on the cobbles of the Muur!